The Helmholtz Zentrum München – in conjunction with the Bavarian State Ministry of Public Health and Care Services and other cooperation partners – has today given the green light for type 1 diabetes screening across Bavaria. The Fr1da study will enable all children between two and five years of age to undergo free tests for the early detection of type 1 diabetes. The aim is to achieve early diagnosis and provide the best possible treatment for the affected children in the early stages of the disease. 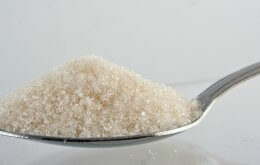 Diabetes usually strikes children suddenly, and for the young patients and their families it is totally unexpected. Not infrequently this disorder is diagnosed when blood sugar exceeds life-threatening levels. “Thanks to tests involving antibodies that are typically present in diabetes we can already diagnose the disease months or years before its onset,” Professor Ziegler says. “This gives the children and their relatives valuable time to prepare themselves for managing the disease.” As part of the Fr1da study, scientists are also conducting research into innovative approaches with a view to delaying or even preventing the onset of the disease. The purpose of the screening program is to identify participants who could benefit from such a treatment. Musical accompaniment at the launch event for Fr1da was provided by the Bavarian duo Sternschnuppe (shooting star) comprising Margit Sarholz and Werner Meier, who perform children’s songs. In future, Sternschnuppe will also act as an ambassador for the project. 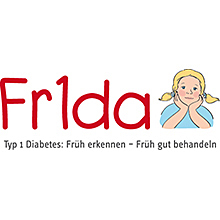 Frida, incidentally, is the name of the main protagonist in a newly published book about diabetes, which has been written specially for parents. To date, project partners of the Fr1da study have been the Technical University of Munich (TUM), the Professional Association of Pediatricians (Bavarian Branch), the Bavarian Health and Food Safety Authority as well as the Bavarian Pediatric Network (PaedNetz Bayern). The project is sponsored by the Helmholtz Zentrum München, Healthy Living in Bavaria (a health initiative launched by the Bavarian State Ministry of Public Health and Care Services), the Bavarian Association of Company Health Insurance Funds and the U.S.-based organization JDRF (Juvenile Diabetes Research Foundation)). Please visit our press information page on the Fr1da study (in German only), where you will find all the key press material (press releases, statements, press photos, videos, information flyers etc.). The Helmholtz Zentrum München, the German Research Center for Environmental Health, pursues the goal of developing personalized medical approaches to the prevention and therapy of major common diseases such as diabetes and lung diseases. To achieve this, it investigates the interaction of genetics, environmental factors and lifestyle. The Helmholtz Zentrum München has about 2,200 staff members and is headquartered in Neuherberg in the north of Munich. It is a member of the Helmholtz Association, a community of 18 scientific-technical and medical-biological research centers with a total of about 34,000 staff members. The Helmholtz Zentrum München is a partner in the German Center for Diabetes Research. The German Center for Diabetes Research e.V. brings together experts in the field of diabetes research and combines basic research, epidemiology and clinical applications. The members of the association are the German Diabetes Center (DDZ) in Düsseldorf, the German Institute of Human Nutrition (DifE) in Potsdam-Rehbrücke, the Helmholtz Zentrum München – the German Research Center for Environmental Health, the Paul Langerhans Institutes of the Carl Gustav Carus University Hospital in Dresden and the Eberhard Karl University of Tübingen as well as the Gottfried Wilhelm Leibniz Research Association and the Helmholtz Association of German Research Centers. The aim of the DZD is to find answers to unsolved questions in diabetes research by adopting a novel, integrative approach and to make a significant contribution towards improving the prevention, diagnosis and treatment of diabetes mellitus.